tạo 1 hotmail hay gmail với tên như thông tin trên.Sau đó gửi email cho netword và thêm thông tin skype như thông tin id card. From who or where did you hear about us? How long have you been in mobile marketing? What kind of offers do you want to promote? How do you plan on generating traffic to our offers? -> I have a Google Ads account and I pay per clicks in my strategy. I choose offer insurance to promote because I have some great keywords are studied in each location has the highest conversion ability.I choose PPC because this is the method I have more experience. I also focus on social networking site such as Facebook, Twitter and marketing of posts on enzinaticle.com. I learned a SEO course and I am applying for my site. This is the method that I am focused development. To promote sales I will select google adword campaign and I pay for every customer clicks in my campaign. I will find quality keywords to get more customers. Currently I have a relationship with a lot of marketing experts in other countries. I would ask them to help me advertise to customers. I experienced seo keywords hot up top 10 google. Also I will combine running ads with google adword facebook. I will choose the CPI because it is my strength. For social networking, I focus on facebook, twitter, Pinterest. I will choose their advertising services to right subjects focused and more effective. I understand and accept that my application will be rejected without a working Skype/AIM/QQ provided? What is your Time Zone or GMT (+/-)? Payment Method and Payment Address? What other networks do you work with(AM's name,telphone,email,IM)? I agree to not send any unallowed/illegal traffic to YeahMobi's offers. If I send such traffic, YeahMobi has the right to withhold my payment? What's your personal facebook page? I'm ...., I am writing to you to ask for reviewing my application I would like to work with yeahmobi network . I have experience in online marketing and I had a detailed plan to draw traffic to my website and especially the experience to increase conversion rate from that traffic source. I am appreciating any of your suggestion to my best experience. I believe that I will become your top affiliates a short time. Should you need further information please feel free to let me know. I would like to provide more information for your concern. Hello. I am .... come from .... I write this letter because I wanted to work with yeahmobi network. I appreciate about your company. So please accept my account. I've had experience in direct marketing and I also have his own plans for development, finding customers find your website. I will accept service of good advertising: google adwords, facebook ads ... to help my job succeed. I hope you will contact me as soon as possible. If you are looking for any information about me, please let me know. 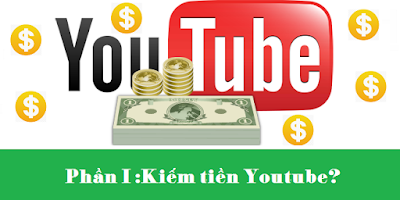 Ngoài ra, ở yeahmobi hiện nay có AM khá dễ tính nên nếu có thể tiếp cận và nói chuyện với AM này thì tỷ lệ thành công sẽ rất cao. Where or from whom did you hear about us? Be as detailed as possible? What kind of offers do you prefer? what Affiliate Marketing forums or online discussion boards are you active in? I have experience with 4 years online marketing. To get the traffic source and with high conversion rate. I have a plan and focus on the some methods such as PPC,Banner, SEO, social networking and my publishers. I am writing to you to ask for reviewing my application I would like to work with Appflood network . I have experience in online marketing and I had a detailed plan to draw traffic to my website and especially the experience to increase conversion rate from that traffic source. I am appreciating any of your suggestion to my best experience. I believe that I will become your top affiliates a short time. Should you need further information please feel free to let me know. I would like to provide more information for your concern. i just registed account yeahmobi network, you can approve it now! Giao thông 2 : Hãy kể chi tiết thêm một chút. How do you drive traffic to campaigns? 4. What is the volume of the traffic you generate? How many leads do you generate per month? Leads = # of actual user names that are good to use for sales. Or # of signups. 1)List The Networks You work with? 2)How you are Planning to Promote the offers? 3)What is your Monthly revenue? I have experience with 1 years online marketing. To get the traffic source and with high conversion rate. I have a plan and focus on the some methods such as PPC,Banner, SEO, social networking and my publishers. 4)Have You been Terminated from Other Networks? 5)What is your Aim / Skype id? 6)What Kind Of Offers Are you Looking At? 7)What is Your Traffic Source? Qo you work with other network, which ones? +, Increase % commission to affiliates under me, so they work better. Dear Abby! Actually I'm very sad about being eliminated from your network. Because some members know where I put my website for promoting your campaign, I was sorry to occur of member fraud. I understand when members fraud will lead to prosecution advertisers to you. Dear Abby! Please give me one more chance to reinforce the campaign closely and not let the incident occurred. Please Give me a chance to continue a member of your network. I promise not to happen complaints from advertisers. I will fix the way my manager. This time I will not let you down. Dear Abby! . We are all Asians should have similar thoughts about the lifestyle. You are a beautiful girl and good nature, friendly. Would you please help me again. In my heart always wanted to become a friend of yours. And I also want you to Vietnam or vice versa, we will find the friendly affection between us. I hope my sincerity make you understand.